In a recent report by CoreLogic, the initial reconstruction costs from the fires in Ventura, Valencia and Sylmar have been estimated at about $27.7 billion. Earlier this year Hurricane Harvey, now believed to be the second costliest natural disaster in U.S. history, had estimated home and vehicle damages of about $30-$40 billion. The preliminary loss estimates for flood and wind damage during Hurricane Irma look to be somewhere between $42.5 and $65 billion. The increasing costs associated with building a home and the added challenges with labor shortages will continue to make the rebuilding process timely and arduous for many people. 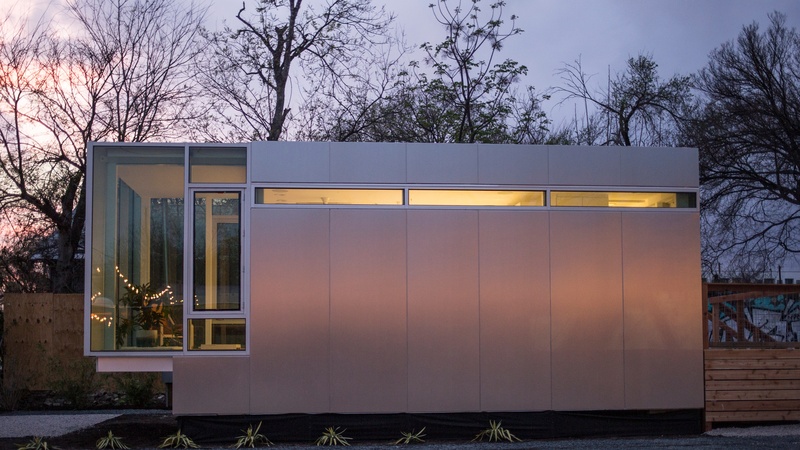 Companies utilizing modular elements like Kasita in Austin, Texas, are looking at how to help with rebuilding after natural disasters by entering new markets such as FEMA disaster housing. Built to IRC building code standards, Kasita claims they can deliver a home in about 6-8 weeks and it will only get faster in the future as they increase their manufacturing capacity. Their website states that “the site work and local permitting needed to deliver and install your Kasita will take longer than the time it takes us to build it.” Recently approved in both California and Nevada (in addition to Texas), this type of housing could greatly assist with the ongoing affordable housing crisis in California as the ADU laws there have recently been updated. Quadrow Specialty Environments is another company looking to contribute to mitigating resiliency issues in the building industry. They are working on a feature that allows the homes they produce to withstand wildfires. In a recent demonstration a blowtorch of 800-degrees was applied to their product (panels are made of magnesium oxide) for over an hour with no breaking or cracking. They also claim their G-Cell technology has a 140 mph wind rating, can be utilized for off-grid living, and have “specially designed renewable power supply systems, water filtration and captivation systems” that can be used with their homes. The G-Cell can also be built off the ground, eliminating the need for site leveling. The Census Bureau’s 2016 Survey of Construction (SOC) showed the average completion time of a single family home to be around 7 ½ months (depending on the housing category, geographic location and metro status). Whether these types of homes will serve as long-term solutions post-disaster is yet to be determined. But with many areas already facing housing shortages these technologies offer viable solutions for someone who can’t wait 7 months for a replacement home.